The following post is by Michael A. Chasalow, Director of the Small Business Clinic and Clinical Professor of Law at USC Gould School of Law, and is sponsored by West Academic. A successful Business Organizations course needs to cover a broad range of material that involves a number of new concepts while keeping students engaged. After several years of teaching, I developed several hypotheticals that connected “real world” scenarios to the substantive material. (Eventually, these hypotheticals developed into the foundation of my Experiencing Business Organizations book.) I have found that practical exercises provide context to substantive material that can be somewhat dry and allow students to engage as “lawyers” rather than passive students. On the other hand, I do not believe that practical exercises alone are sufficient to teach Business Organizations. The assignments are intended to incorporate the most recent substantive material we cover in the course, while building some practical and strategic lawyering skills. There are a few students who balk at the extra work, but, by and large, most of my students find the exercises beneficial and appreciate experiencing how the issues we are covering in class might arise in practice. These exercises provide great opportunities for feedback both on the written assignment itself and in class when we review the exercises and give students an opportunity to present. While the team approach works well in larger classes, the exercises also work well individually. I believe that a good course should include both theoretical and practical instruction. I use the materials in Experiencing Business Organizations to provide the opportunity to maintain the fundamentals of a traditional course while enhancing the learning experience with simulations. However, there are, of course, many approaches to including practical material in a doctrinal course. 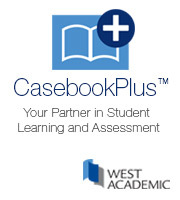 Whether you use a casebook that provides exercises, draw on your own experiences or gather material from local practitioners, you will find that including practical exercises is extremely useful and worthwhile, and students seem to feel that they are getting a good mix of practical experience skills along with the substantive subject matter.